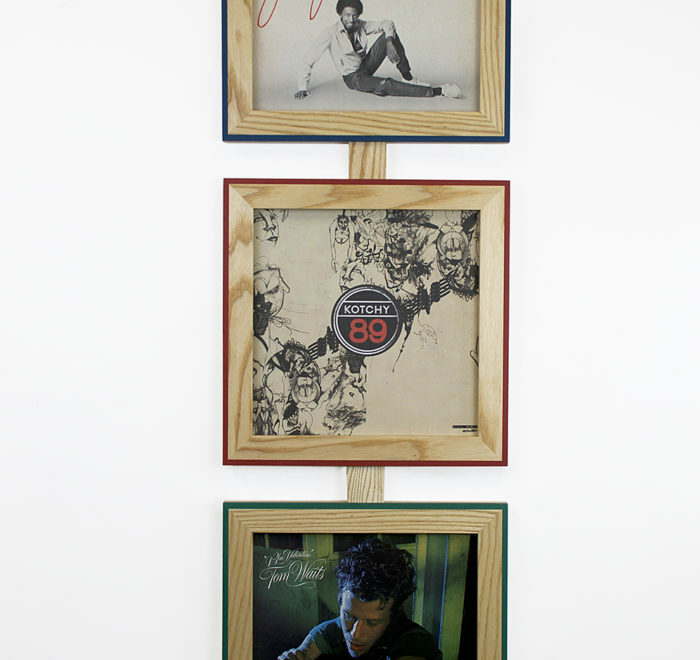 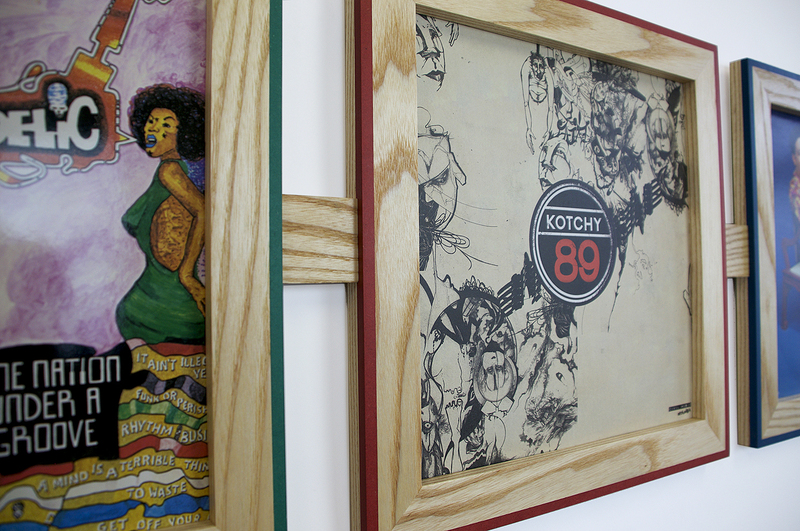 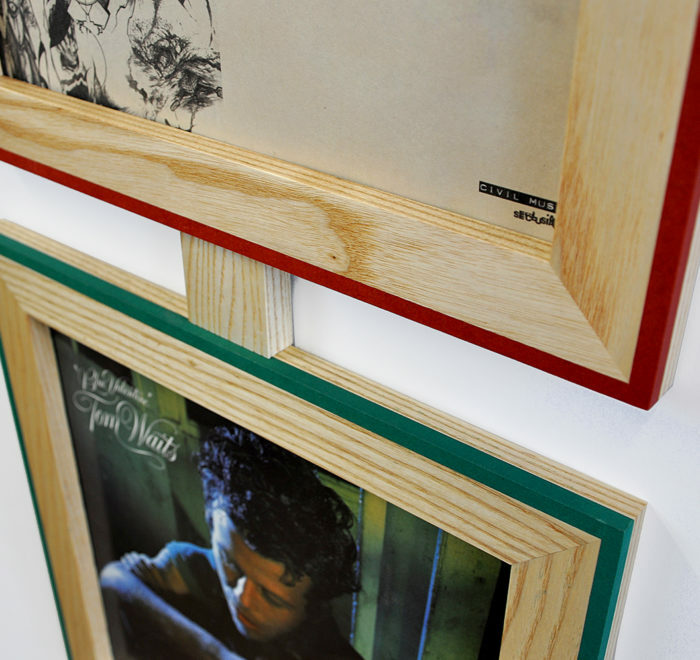 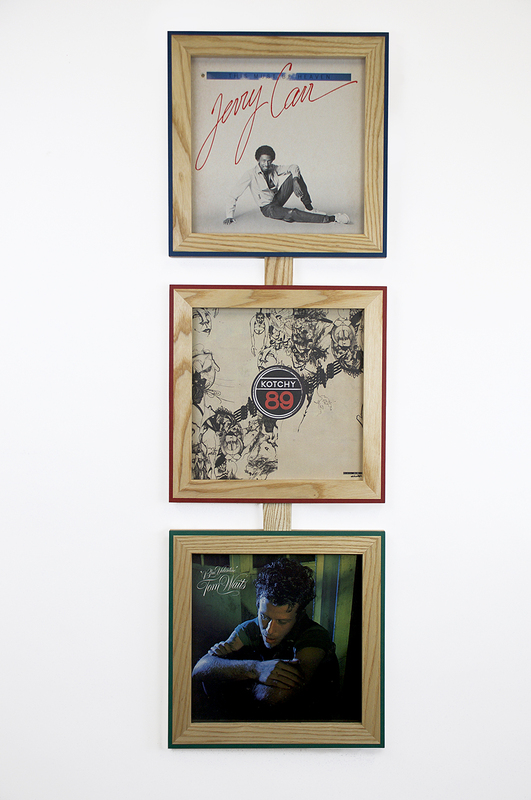 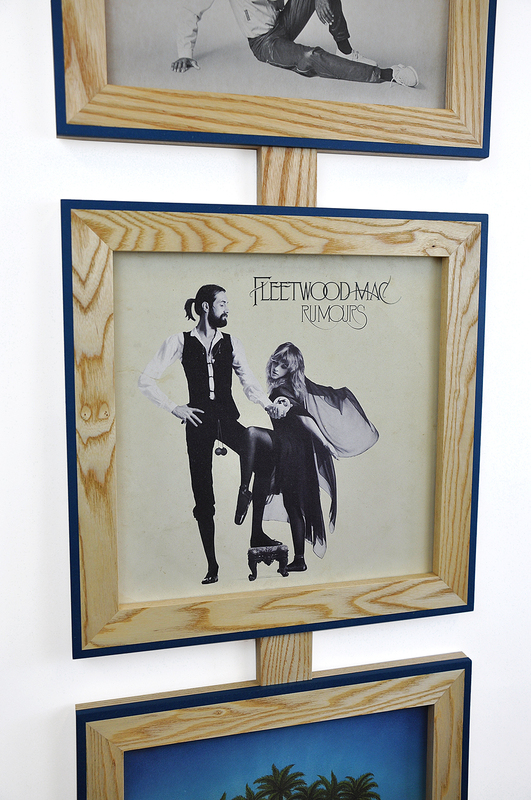 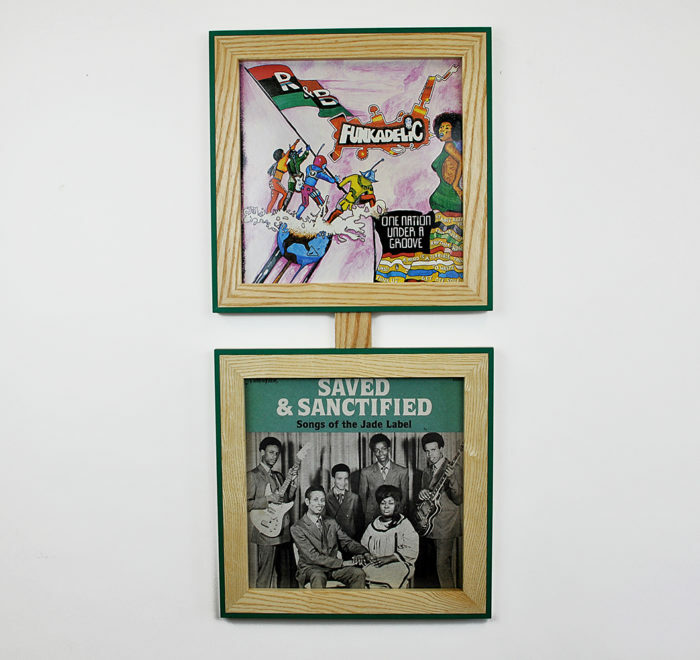 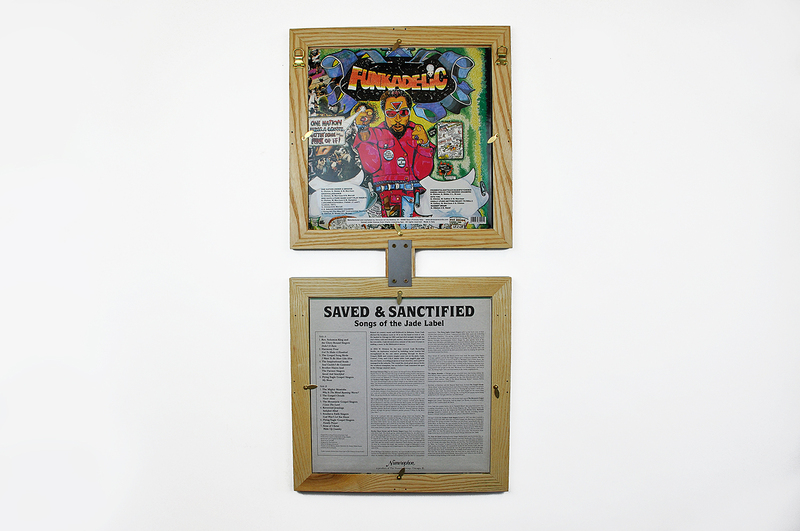 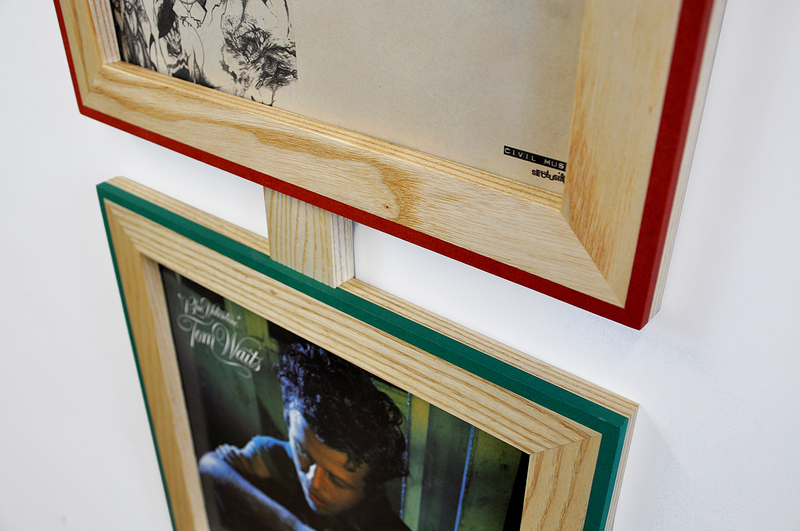 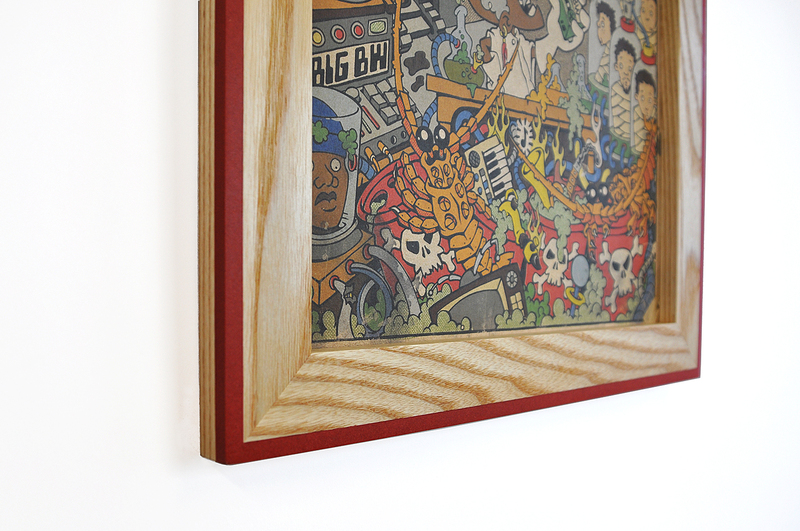 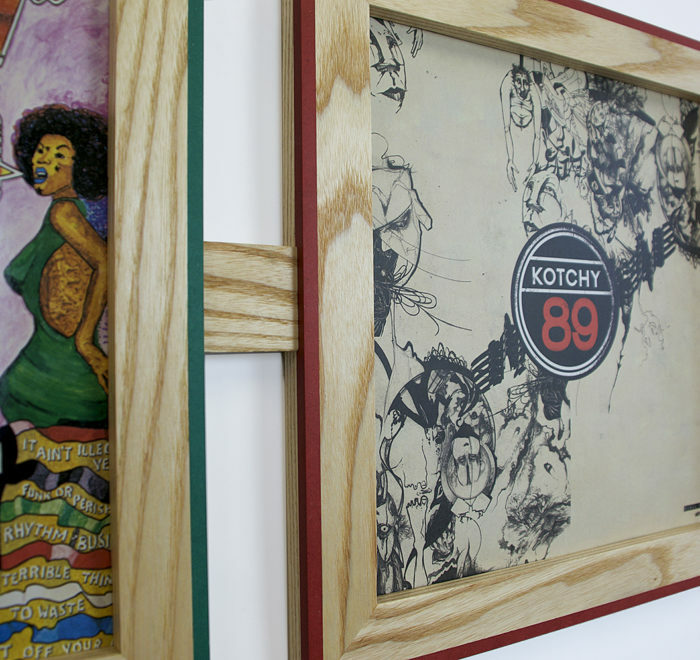 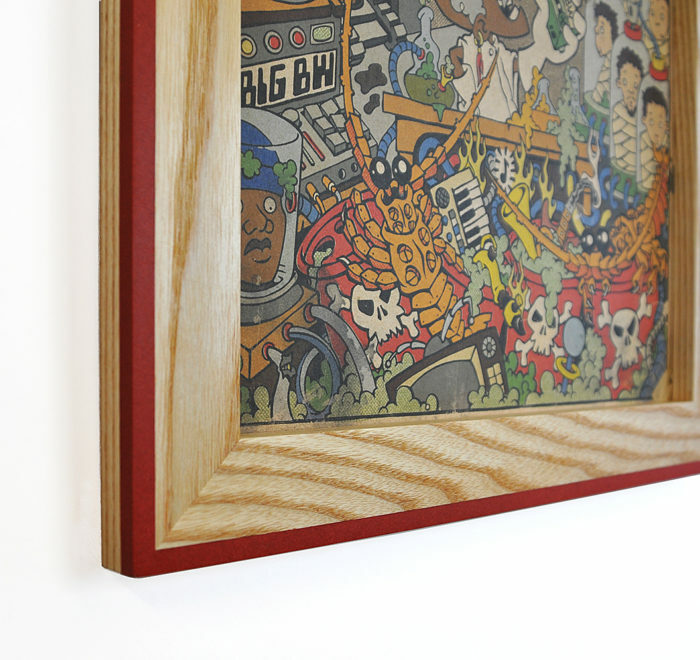 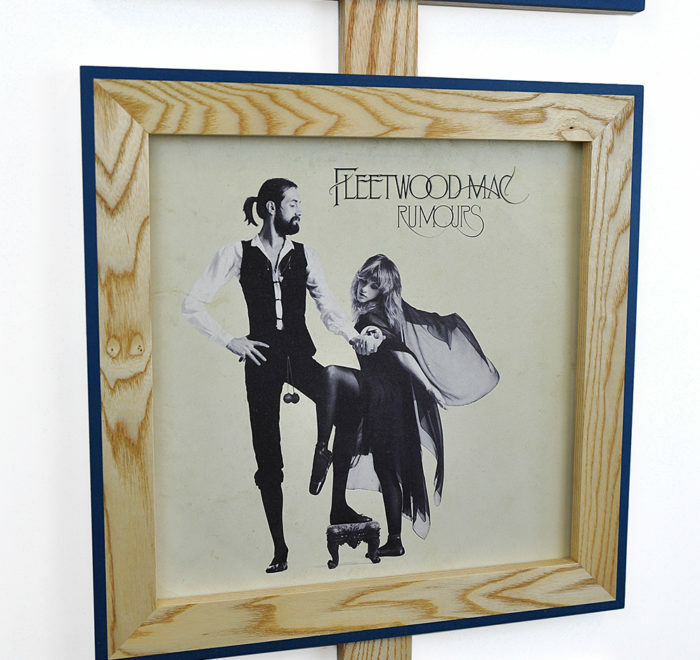 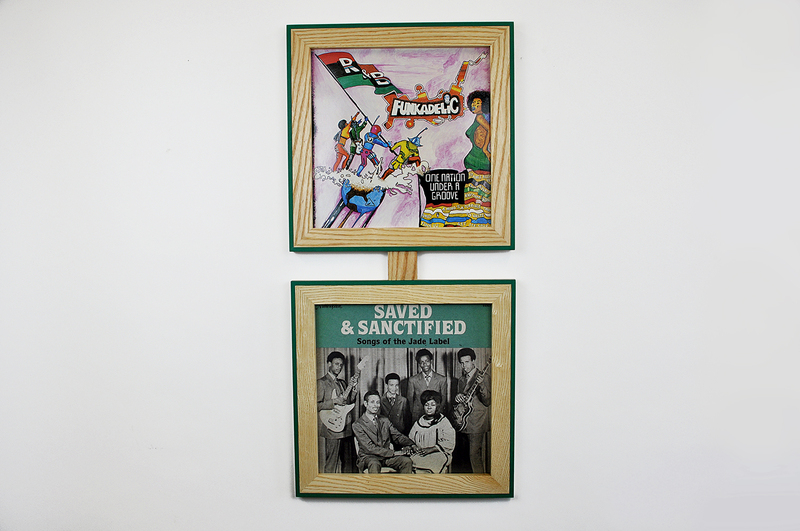 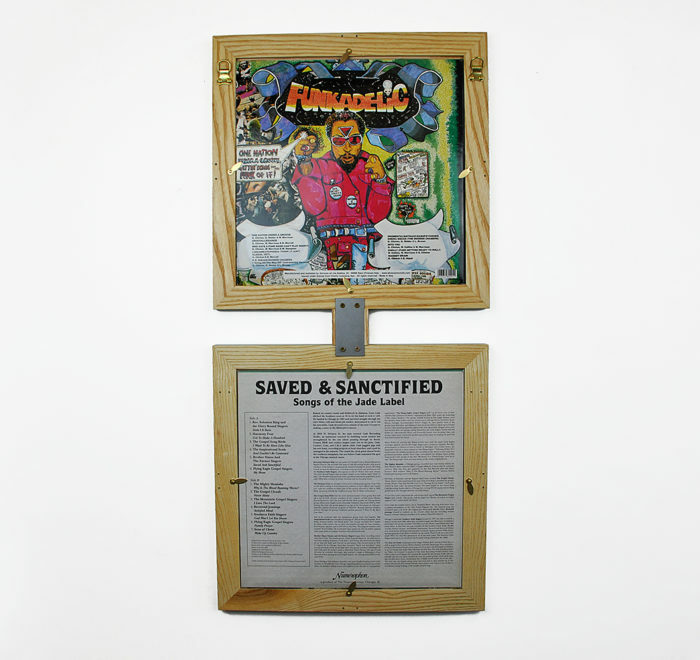 Stylish, modular framing for LP vinyl albums to hang and display your best-loved music on the wall. 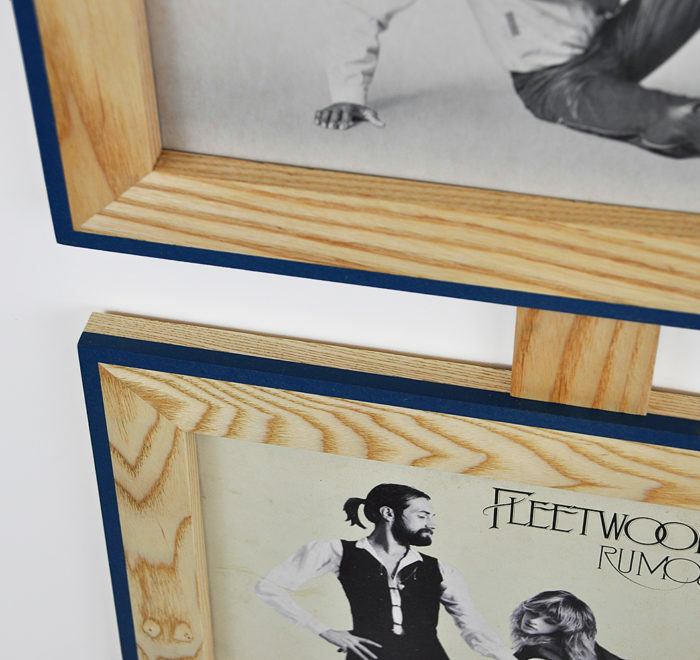 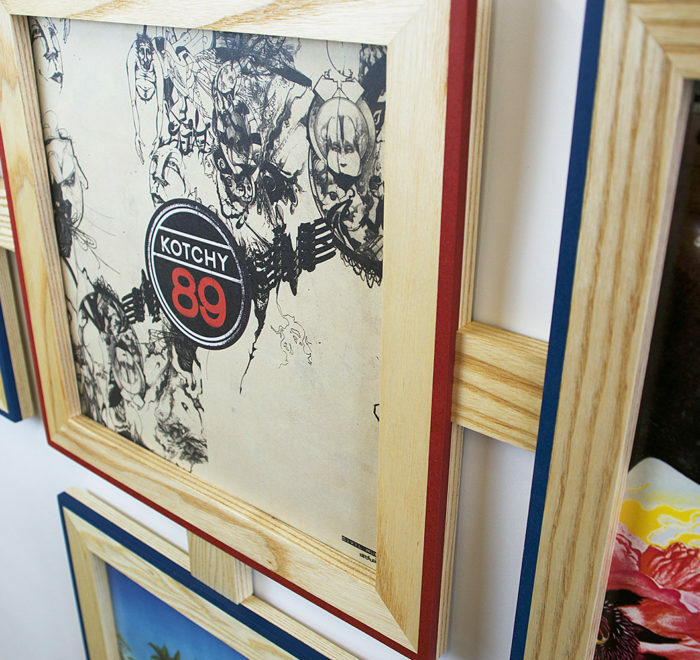 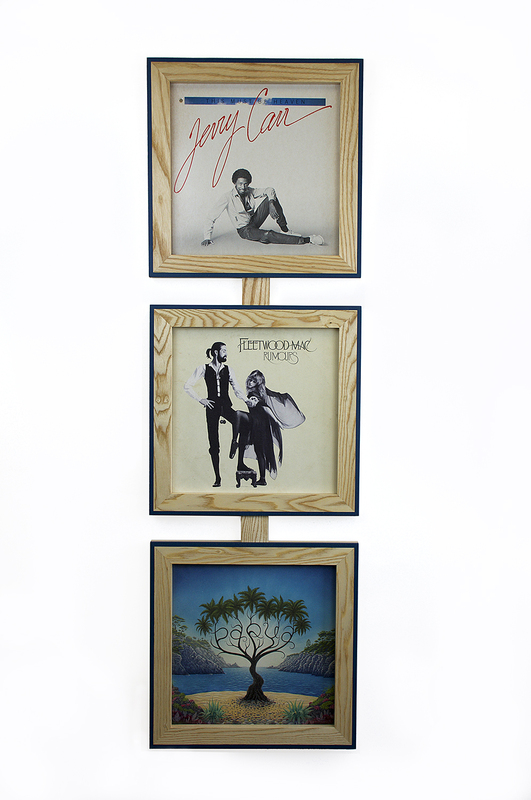 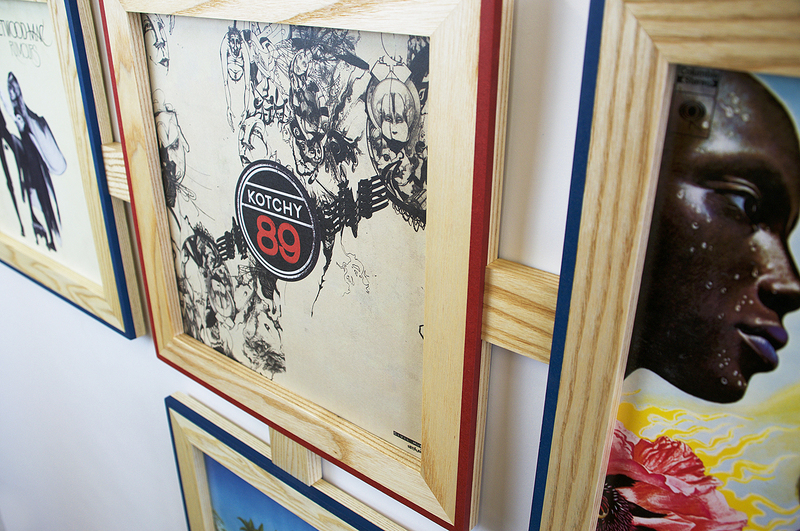 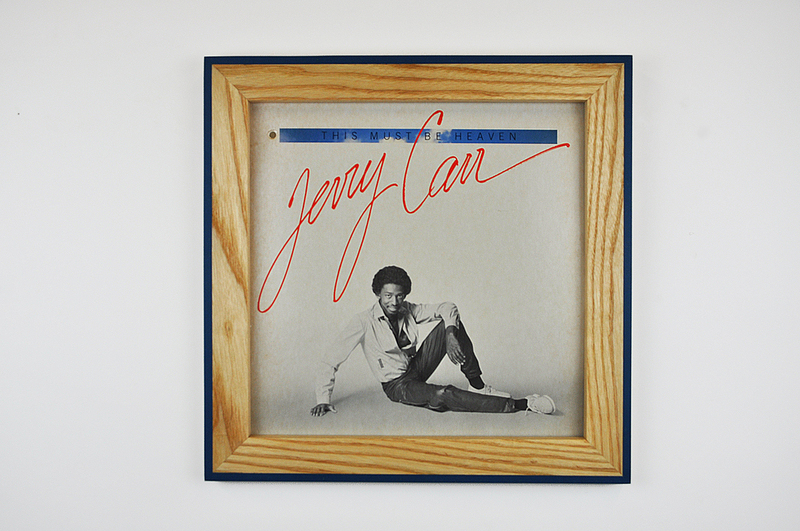 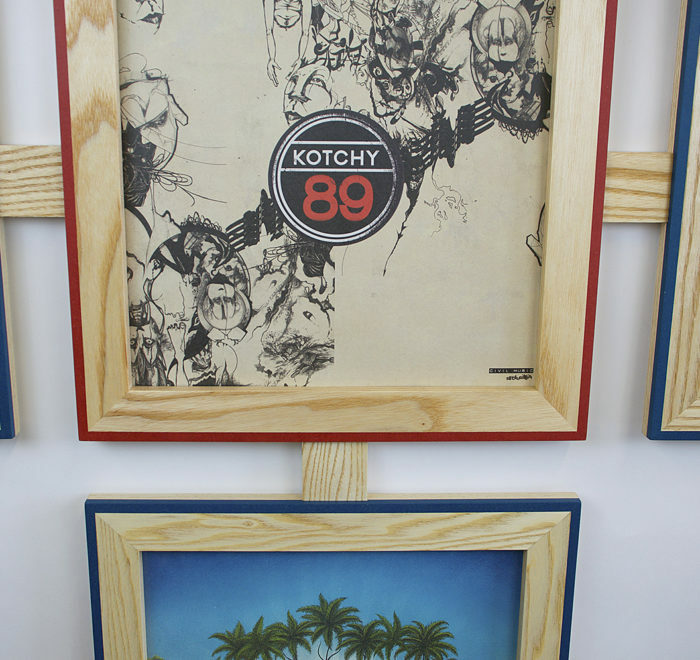 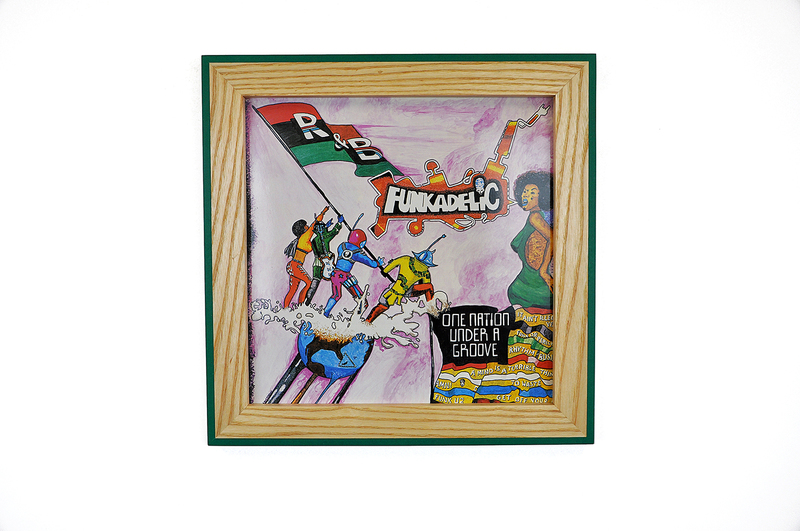 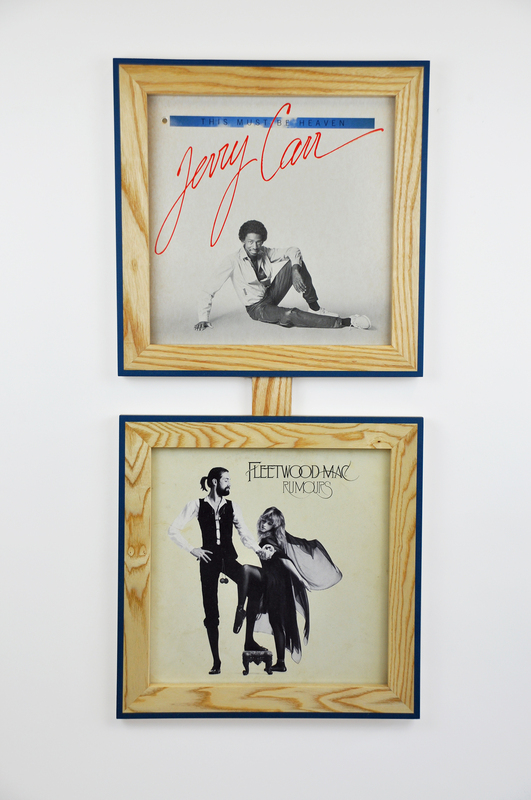 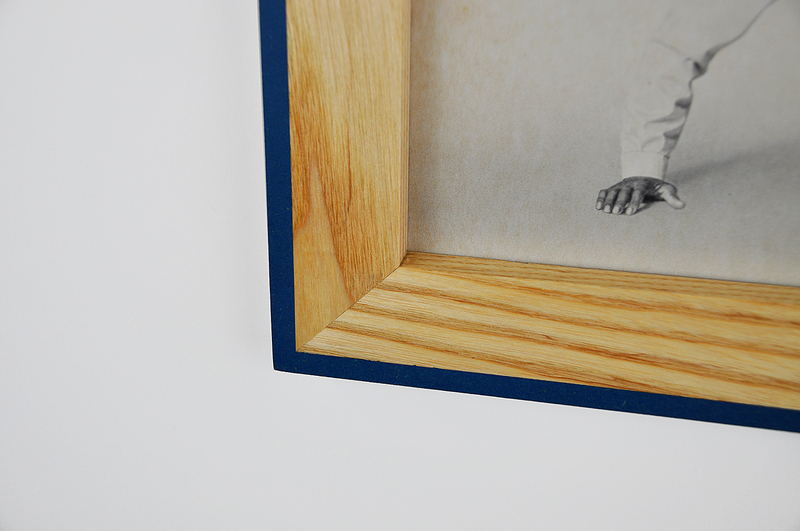 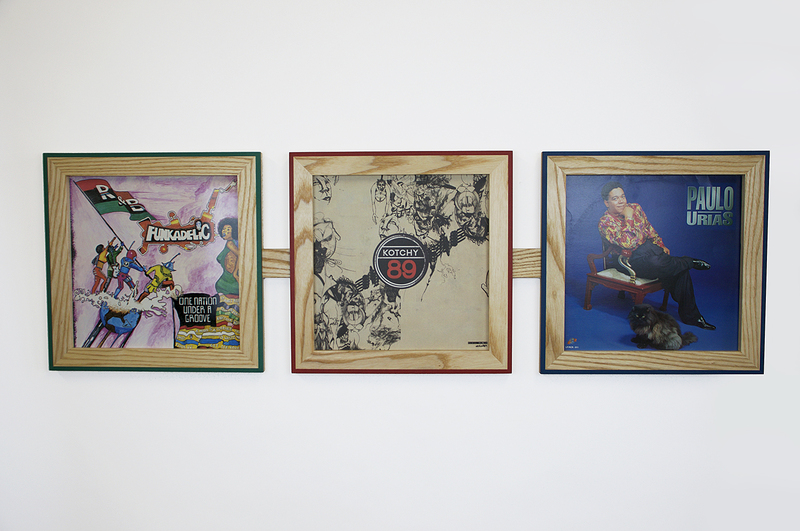 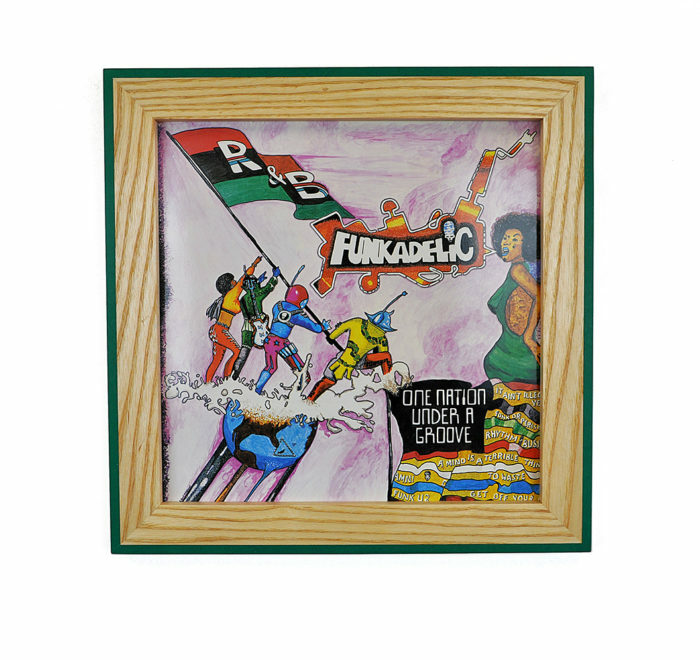 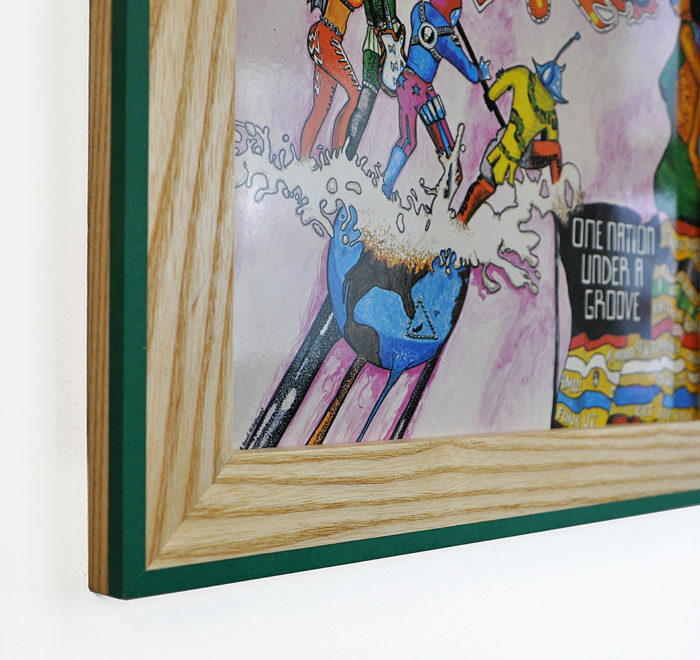 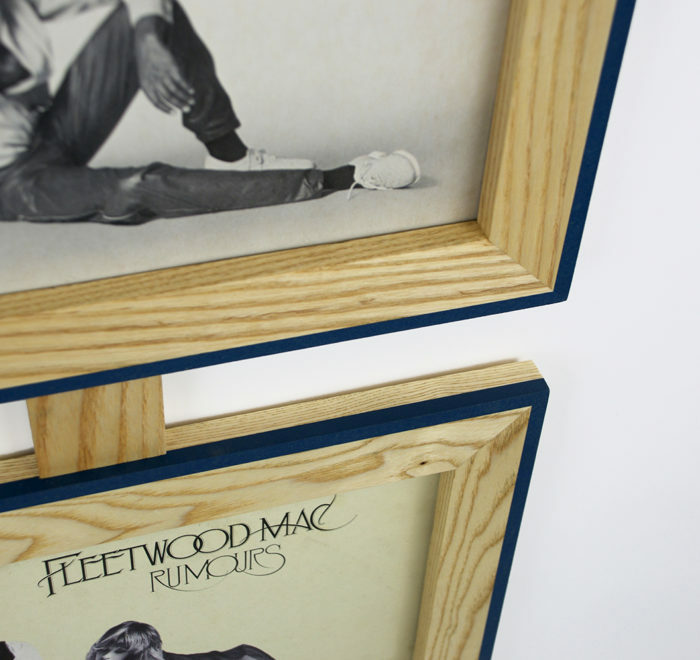 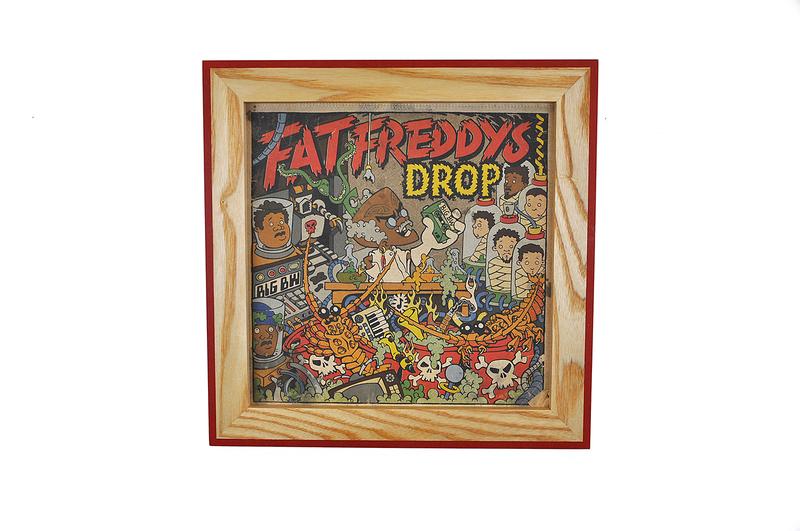 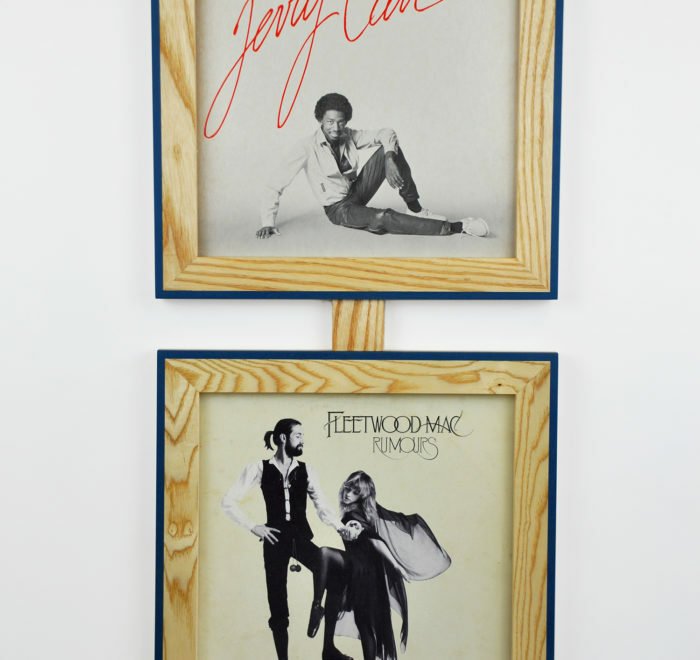 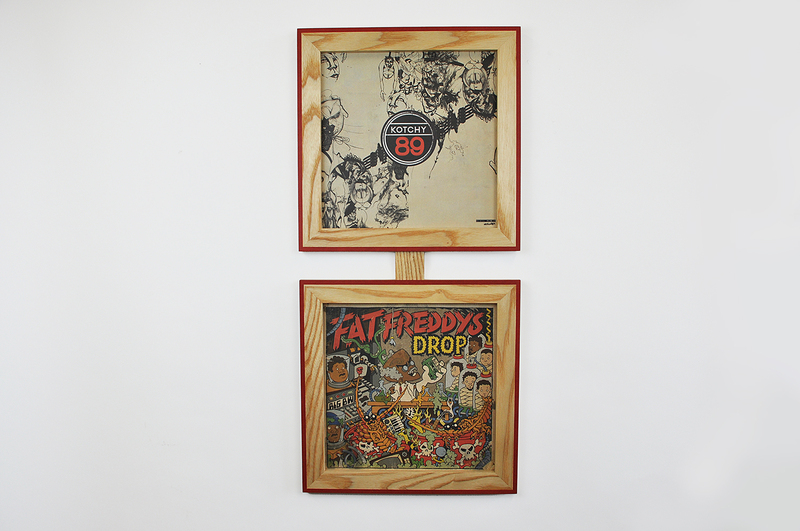 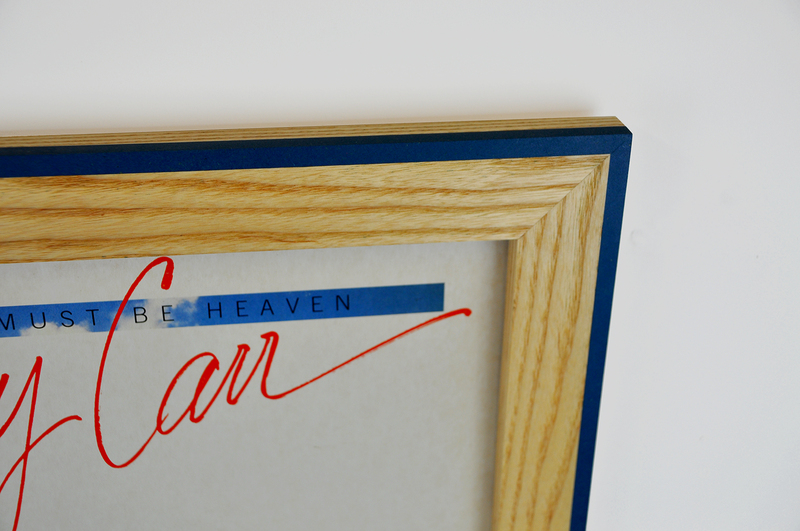 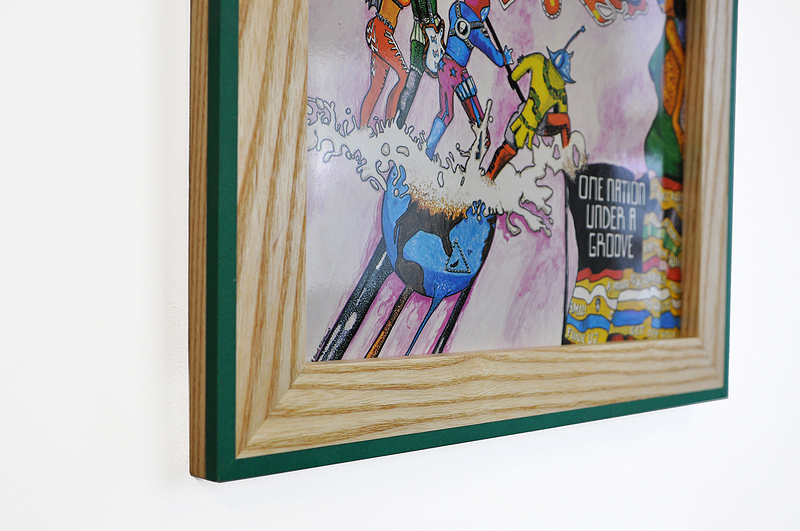 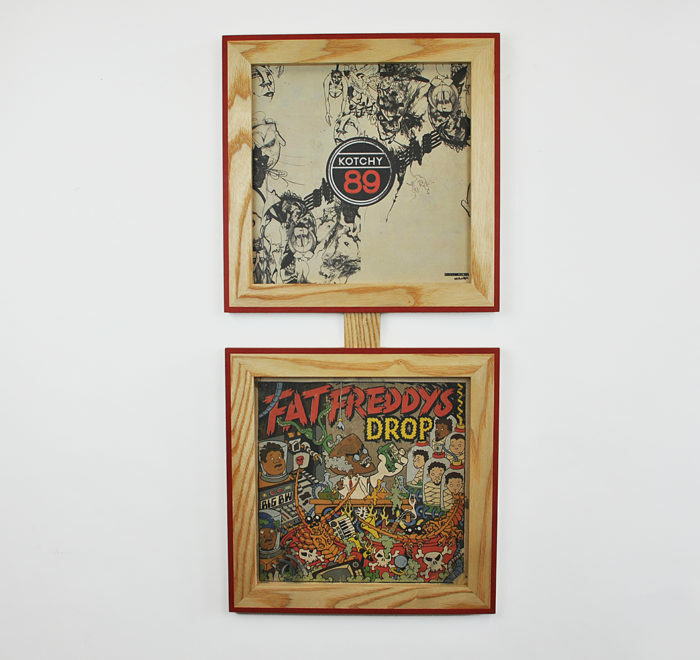 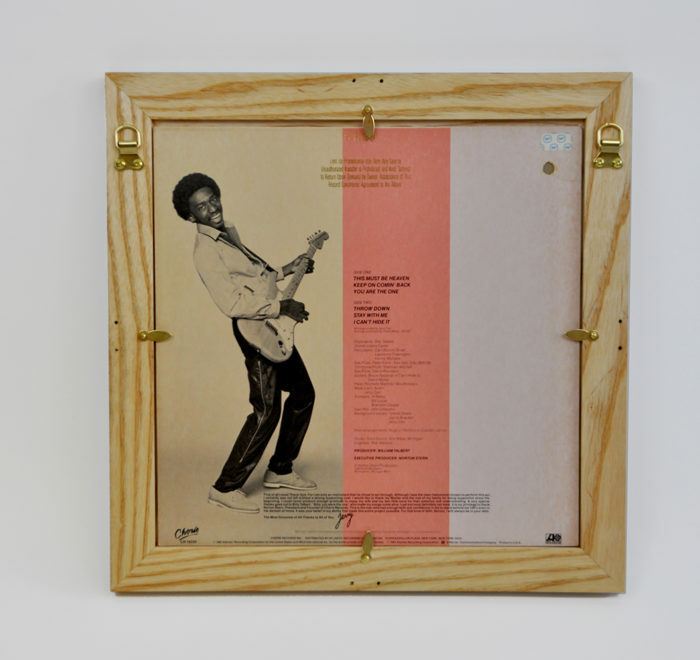 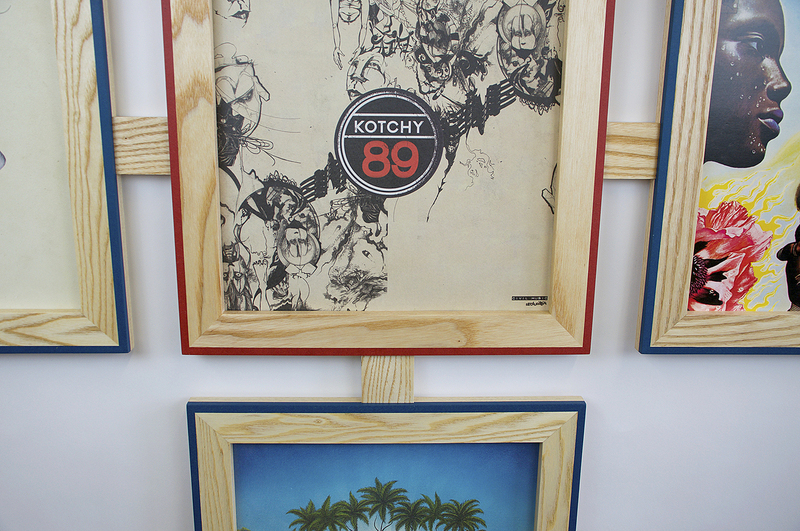 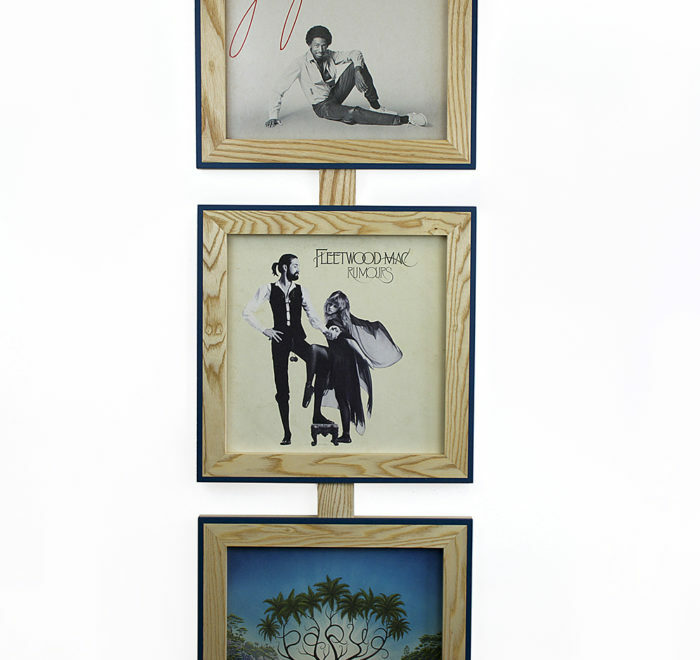 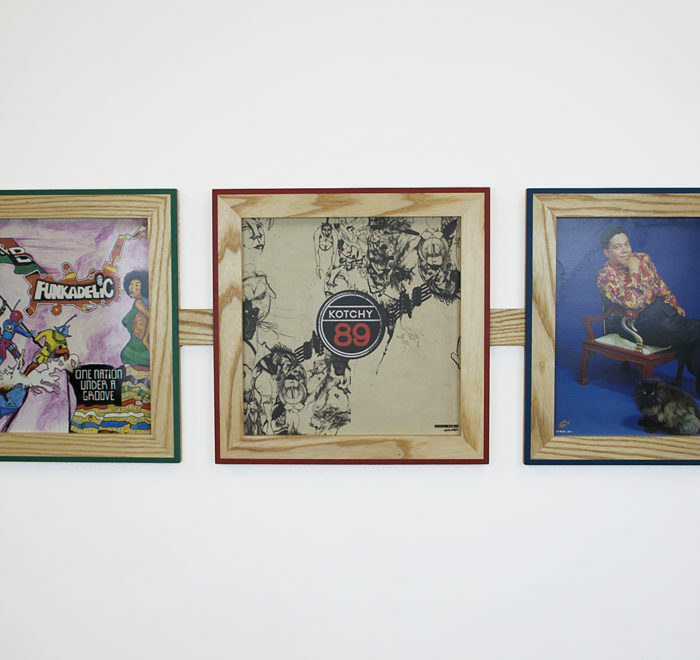 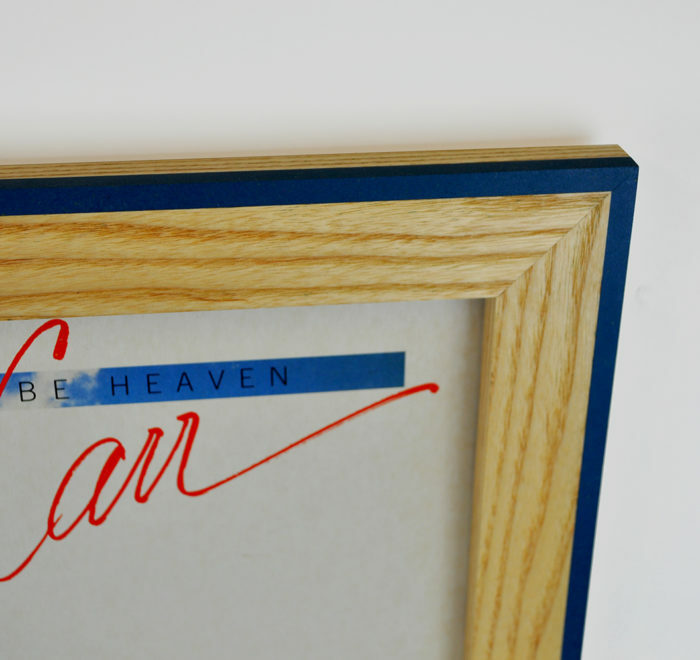 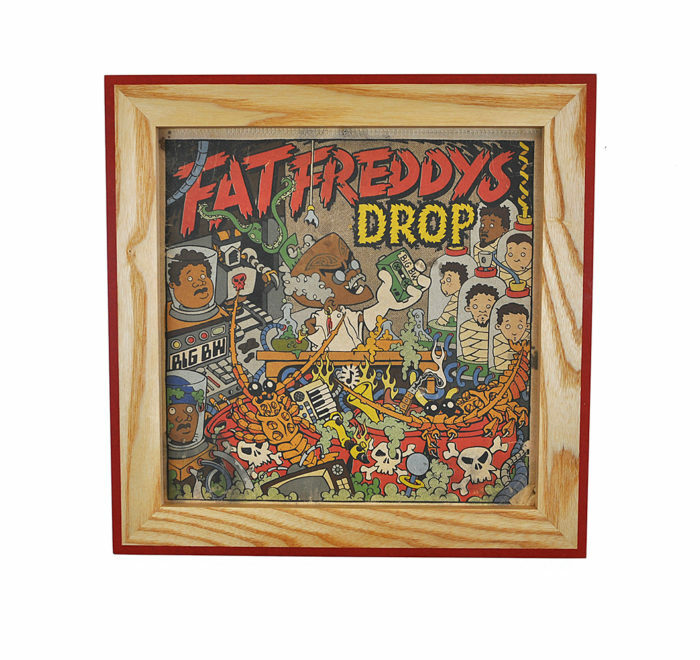 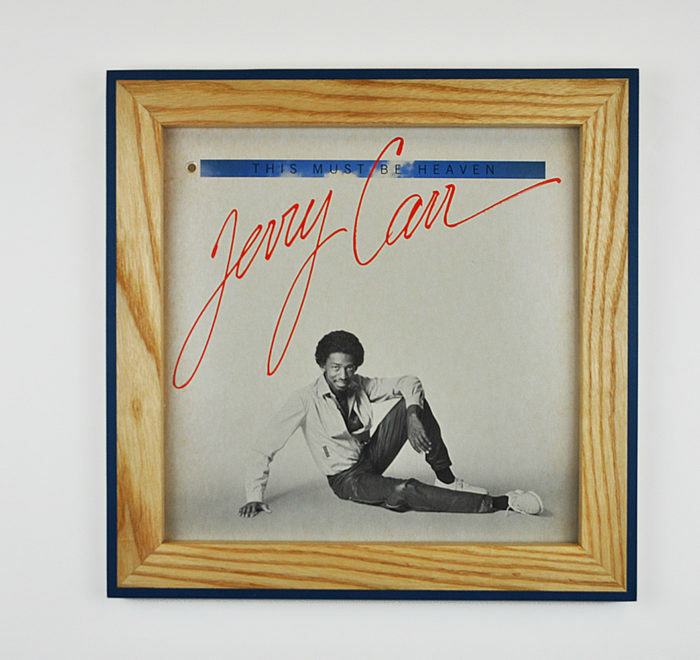 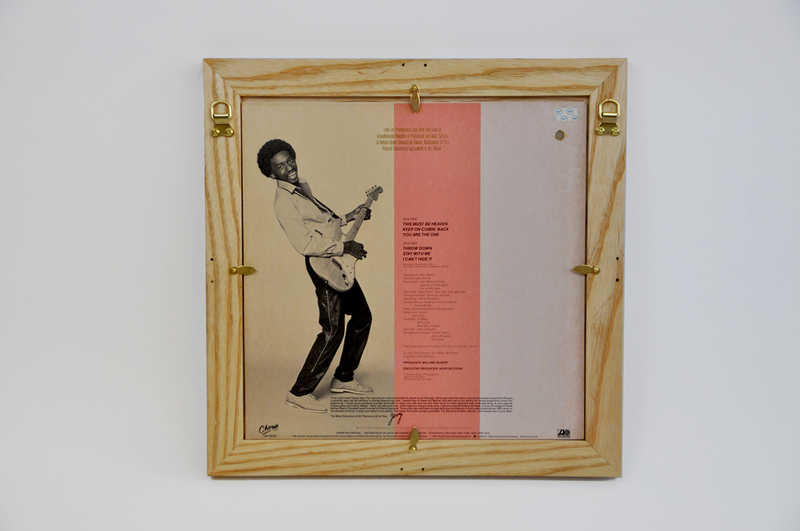 These sleek LP frames are made from solid ash timber and have the option of Red, Blue or Green edge highlights made from Valchromat to match colours in your album covers or home decor. 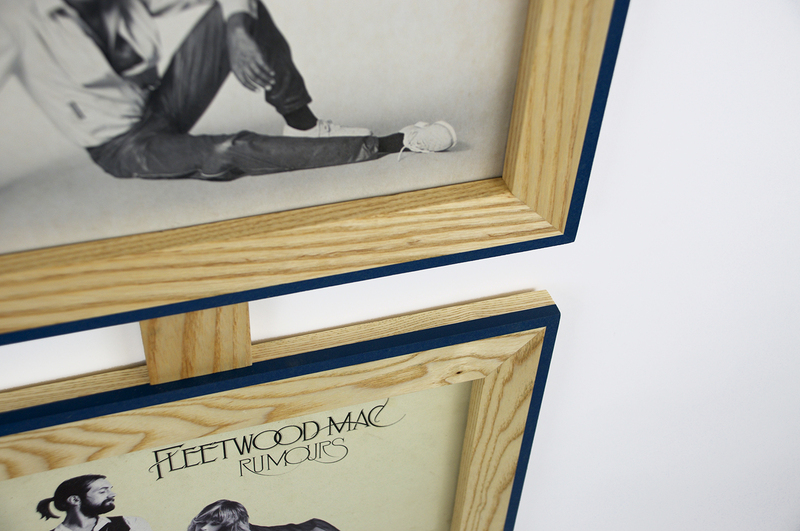 They are modular, meaning you can buy one today, and then buy another with a Connector a month later and simply screw them together and continue to hang the two frames from the same fixings. 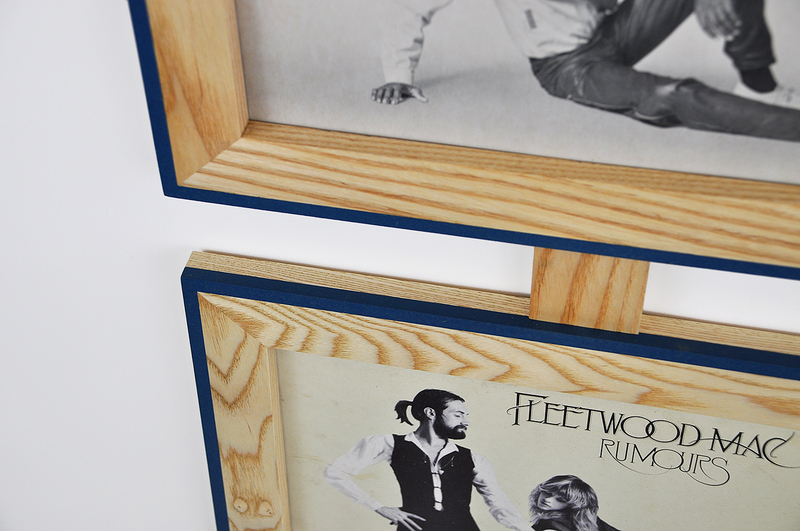 Easily change the record from the back with the turnbuttons (the traditional method pictures are kept in their frames). 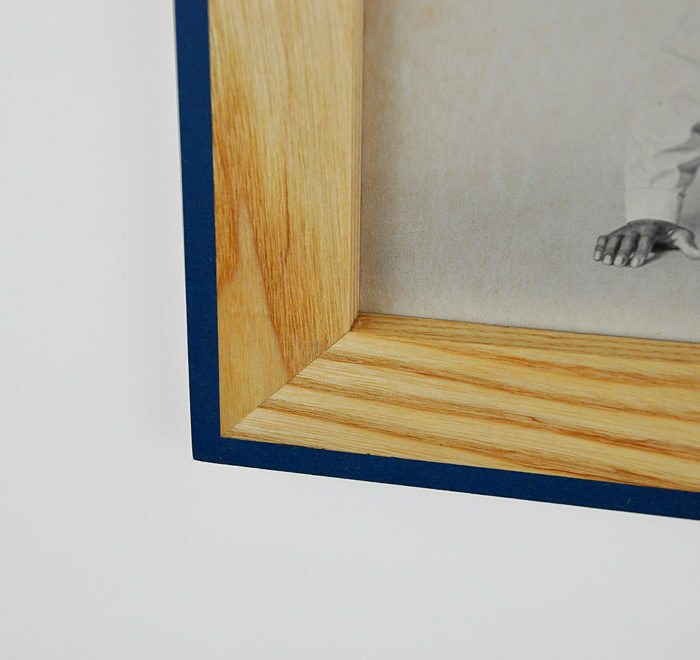 The shape iterations that can be made are essentially endless, as long as enough wall fixings are used as you join more frames together. 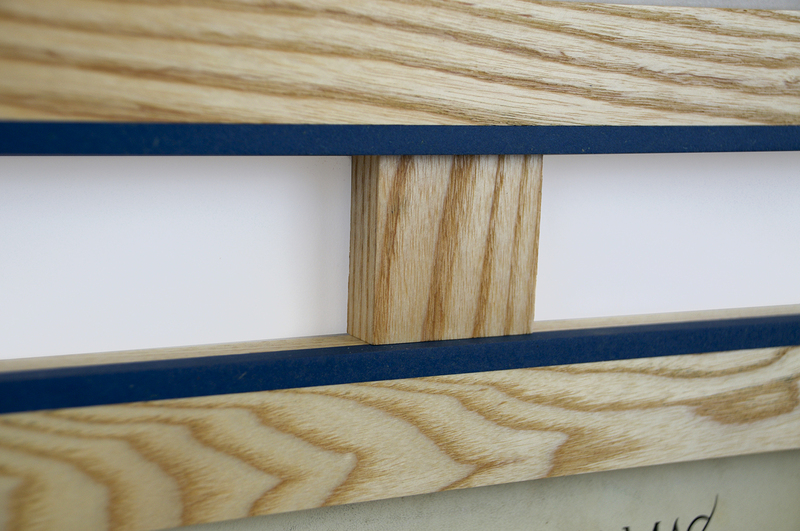 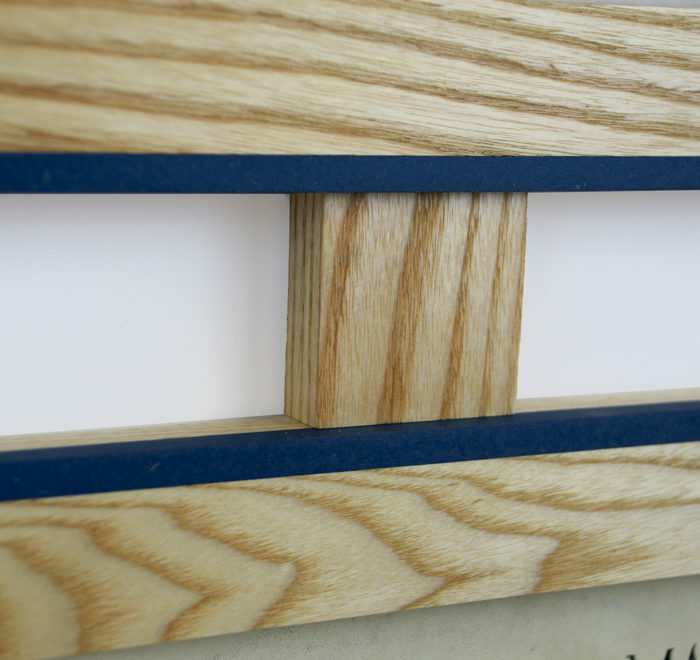 Hooks are included but fixings for your wall are not – be sure to choose the correct fixing for your wall type.